You can spot a trampoline on nearly every block in Central Texas. For parents, it's a way for their kids to have fun, exercise (and get tired!) in their own backyard. For kids, well, who doesn't love jumping like a circus acrobat! There is, however, a risky side to all the jumping fun. 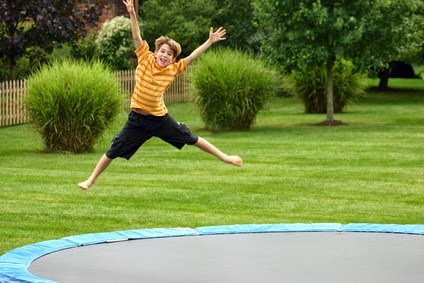 Trampoline accidents sent 288,876 people, mostly children, to hospital emergency departments with broken bones from 2002 to 2011, according to a recent report published in the Journal of Pediatric Orthopedics. Fractures made up the bulk of injuries. About 60% of the fractures were upper-extremity injuries, notably fingers, hands, forearms and elbows. Most common lower-extremity fractures were breaks to the tibia, fibula and ankles. While less common, 4% of fractures involved the spine, head, ribs and sternum - which can be extremely serious and often have long term consequences. Make sure kids are supervised at all times. Only allow one jumper on the trampoline at a time. Adopt a 'no somersaults' rule. Add protective padding on the trampoline and make sure it's in good condition. Check your equipment regularly. If it's damaged replace the equipment. Weight shouldn't only be thought of as a cosmetic issue - there are huge health ramifications. When people are carrying additional weight, it can contribute to osteoarthritis, also known as degenerative joint disease. Your joints are the points in your body where the bones join together, which allows you to move, bend, turn, etc. 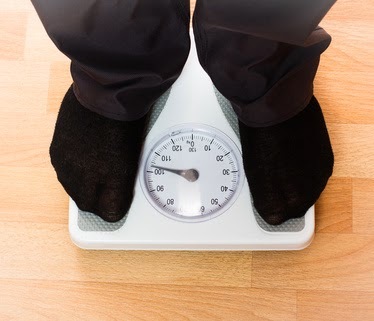 The more you weigh, the more stress is placed on the weight bearing joints like ankles, knees, hips and spine. This puts you at greater risk for developing osteoarthritis. Another common problem associated with being overweight is sleep apnea - a dangerous condition where while sleeping people stop breathing or only take shallow breaths. This affects overweight people because they may have more fat stored around their neck, which narrows the airway. Being overweight can also cause type 2 diabetes. Normally, the body breaks down food into glucose and then carries it to cells throughout the body. The cells use a hormone called insulin to turn the glucose into energy. With type 2 diabetes, the body can't produce enough insulin or use it properly, so the glucose cannot get into the body's cells and builds up in the blood. Type 2 diabetes is dangerous because it can lead to a stroke, kidney disease, foot problems and early death. If these health issues sound scary, it's because they are and these are just a few of the possible health problems associated with being overweight. The best thing you can do is to take this knowledge and continue the conversation with your doctor. The winter coats are back in the closet, the sun is shining, and all the festivals are starting up. It's a great time to be outside! But how does this warmer weather affect your workout? Is it really the best time to head to yoga in the park or take a walk around Lady Bird Lake? The answer isn't as simple as you might think. Colder weather is actually better for athletic performance. Without the heat, you can exercise harder, without the risk of heat exhaustion. And because your body doesn't sweat as much, you're less likely to be dehydrated. Of course once it gets too cold, no one wants to be outside. But there are benefits of warmer weather and exercise. You might not necessarily improve your workout, but you're more likely to go outside and actually work out! There's a real psychological connection between warmer weather, wanting to be outside, and having the motivation to exercise. There are other benefits to warmer weather. During the spring, when temperatures are in the 70s, it takes less time for your muscles to warm up. Also, because the sun's ultraviolet light is stronger in the warmer moths, you can increase your vitamin D levels. This is important because without the right amount of vitamin D, bones can become think, brittle, or misshapen. But don't forget your sunscreen - it doesn't take long to get sunburned in our hot, Texas heat. Green fields and warmer temperatures mean spring sports season is upon us. But after months of limited or indoor activity, how do you return to the game you love without injuries? The most common baseball and softball injuries involve the soft tissues, such as muscle pulls or strains, ligament injuries (sprains), cuts, contusions and bruises. Although baseball and softball are non-contact sports, most serious injuries are due to contact - either with a ball, bat or another player. Read more baseball and softball tips. Most golf injuries are due to overuse from repeating the same swinging motion. 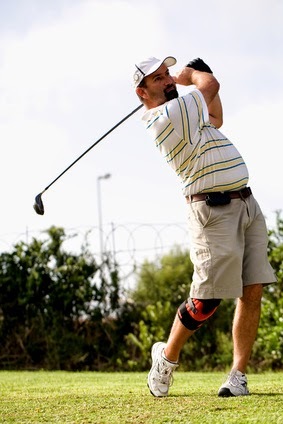 Leading the list of injuries is golfer's elbow, technically known as medial epicondylitis. Golfer's elbow is an inflammation of the tendons that attach your forearm muscles to the inside of the bone at your elbow. Also common are lower back injuries caused by poor swing techniques. Read more tips on how to strengthen the back and forearm muscles to prevent golf injuries. Sprains and strains are the most common lower extremity injuries in soccer. Cartilage tears and anterior cruciate ligament (ACL) sprains in the knee are some of the more common injuries that may require surgery. Other injuries include fractures and contusions from direct blows to the body. Soccer players may also experience shin splints, patellar tendinitis (pain in the knee), and Achilles tendinitis (pain in the back of the ankle). With any outdoor sports be sure to wear sunscreen and stay hydrated. Also, check your equipment and inspect playing surfaces for needed repairs. More children athletes are being injured with torn ACLs than ever before, reports a new study in Pediatrics. This is a cause for concern because of the multiple impacts of such an injury. There is the cost of repairing the injury and rehab, not to mention time lost from school and the effect it might cause the athlete's performance. And a child who gets an ACL injury in her teens might have other chronic pain later on. But, the research also reports that injuries can be prevented with special training. Dr. Randall Schultz with Texas Orthopedics treats many young patients with ACL injuries and was recently interviewed about this very topic on KLBJ News Radio. 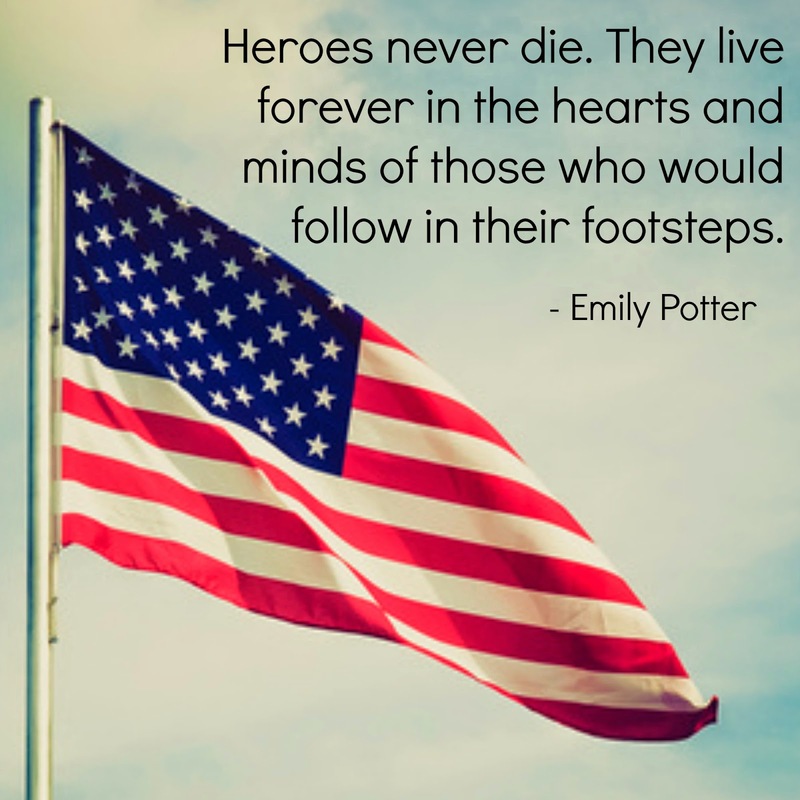 Click here to listen to his interview.